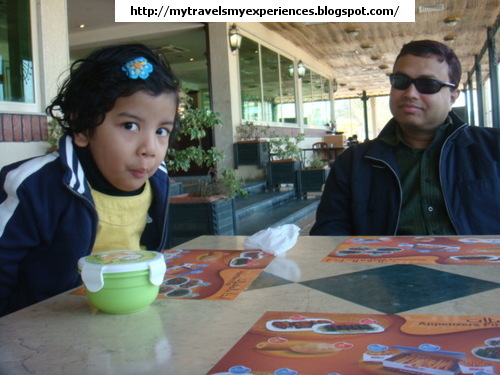 Though we had ordered many times from Naif Chicken, we didn't go out to eat at any of their restaurants. The day we went out and enjoyed at the Arabian Gulf Road Beach Park, the Naif Chicken restaurant was near-by we decided to have some snacks as I had already prepared lunch at home. 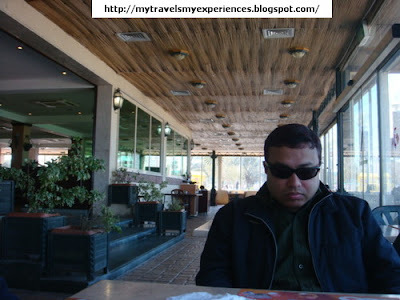 What I loved about the restaurant was its interior decoration. 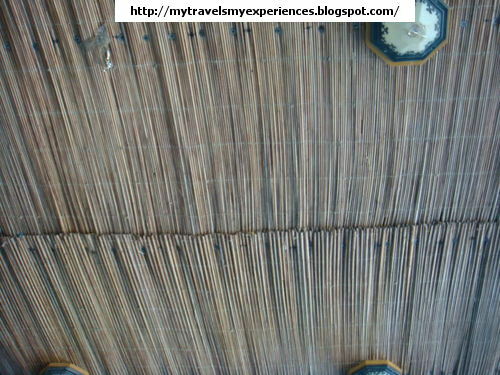 The roof was made of cane/ bamboo. It reminded me of my dear Assam where you get lot of beautiful cane furniture's and other items.